UPDATE: Speaking at the Dunhill Links Championship in Scotland, Brooks Koepka denied that there was any fight with Johnson saying, "This Dustin thing, I just don’t get. There was no fight, no argument. He’s one of my best friends. I love the kid to death. We talked on the phone Monday and yesterday, so you tell me how we fought." ----------------------- A bad week keeps getting worse for the U.S. Ryder Cup team. Just days after the U.S. team's star of 2016, Patrick Reed, publicly took issue with Captain Jim Furyk's decision to split up his pairing with Jordan Spieth, reports broke on Monday evening in The Telegraph that Dustin Johnson and Brooks Koepka were involved in a heated exchange in the European team room after their team's loss. 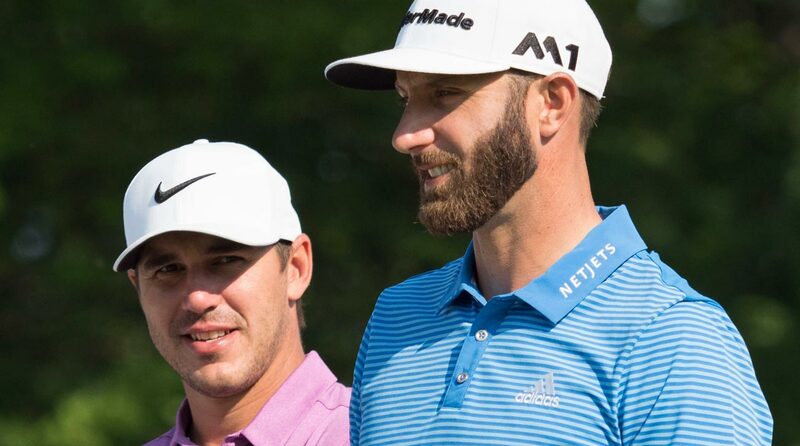 Golf Channel's Tim Rosaforte later confirmed the report: "The source of the friction was not known, and the dust-up was considered unusual because Johnson and Koepka appear to have a very close relationship. They often work out together at trainer Joey Diovisalvi's Joey D Golf Performance Center in Jupiter, Fla." As the report above states, the cause of the exchange between the two friends remains unclear, and the news comes after multiple reports of in-fighting that plagued the U.S. team's chances during the 2018 Ryder Cup. Additionally, a report by Ben Cadiou in Le Equipe claims the two were involved in an initial confrontation on the plane trip to the Ryder Cup. Brooks Koepka (left) and Dustin Johnson (right) on the 14th hole during the first round of the WGC-Bridgestone Invitational. It's also worth noting that heated confrontations between teammates aren't uncommon in locker rooms in other sports, though historically it's been rare amongst Ryder Cup teams. We'll continue to update this story as more information becomes available.